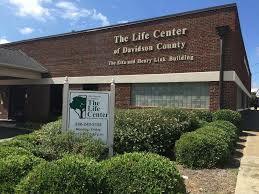 Our Mission at The Life Center of Davidson County, Inc. is to provide high quality day time care to older and impaired adults and to help improve the quality of life for them and their caregivers by offering support, relief, respite and counsel. We serve both participants and their families from all areas of Davidson County. 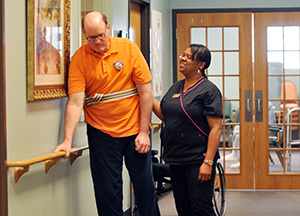 Able to benefit from a therapeutic activity program. Able to benefit from the companionship of others. Able to transfer from a wheelchair to a chair with minimal assistance. Able to adapt to the group setting both physically and mentally. Able to feed him/herself independently or with cueing. Able to benefit from bowel/bladder program. Not disruptive or is not verbally or physically harmful to others. Our staff members have extensive experience working with older and impaired adults. Their patience, sense of humor and trustworthiness is crucial to The Life Center’s daily operation. All staff members are certified in CPR and First Aid and receive training on providing care to older and impaired adults. Our staff has been trained in the CARES® Online Dementia Training Program and certified in the Alzheimer’s Associations ™ essentiALZ™ program. Benefits of this training include: increased understanding and commitment to serving participants living with Alzheimer’s disease and dementia and an improved quality of life for the participant as evidenced by the specialized care they receive at The Life Center.